Best Friends in Los Angeles can house up to 700 cats at a time – and that’s not counting the many cats and kittens in foster care, too. 76 staff members take care of the cats and dogs at the facility. And since opening their doors, they have trained 5,245 volunteers at their adoption center! Upon arriving at the Los Angeles location in Mission Hills, California, the facility appeared smaller than I expected. But boy was I wrong! Apparently, only one small area is visible from the visitor parking lot. 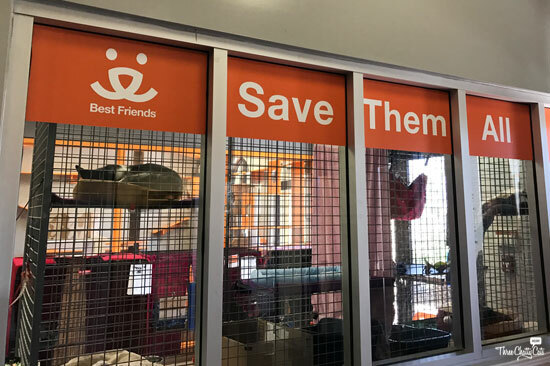 As you make your way inside the Pet Adoption and Spay/Neuter Center, you’re greeted with signs of those already adopted (saved!). This particular weekend that we visited, Best Friends had a $14 pet adoption promotion in honor of Valentine’s Day. We arrived right when they opened, and there were already people lined up at the door. The previous day (Saturday), there had been 23 cats adopted from the shelter! 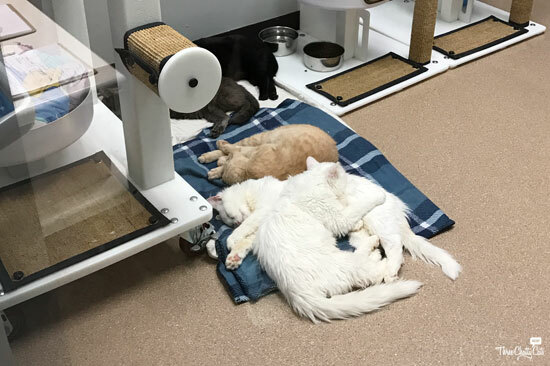 Because of the high amount of adoptions from the day before, many of the rooms were low on cats, as new ones hadn’t been pulled from the other Los Angeles shelters yet. Ross, my hubby, joined me on the tour. 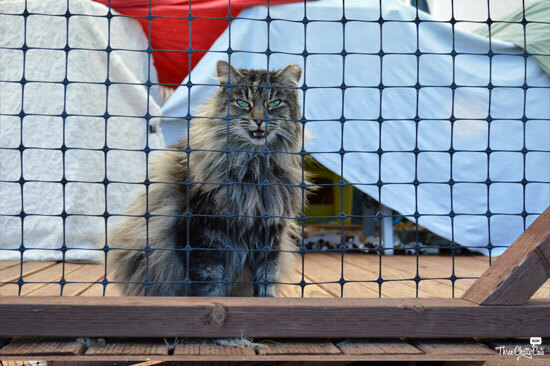 First, we saw some kitties who prefer to be alone or need temporary isolation (perhaps recovering from an ailment). You can see those cats behind the front window in the lobby. While in the lobby, visitors can see some of the cats for adoption. Next, we visited with some of the kitties in the cat rooms and the kitchen. 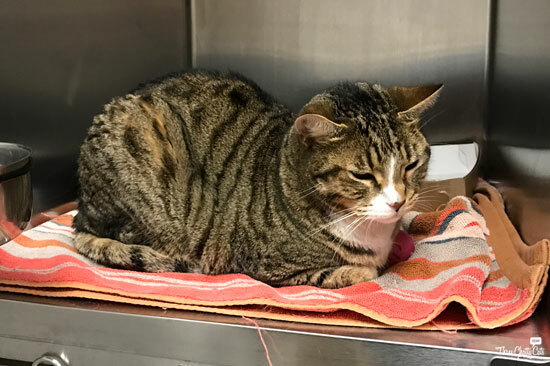 The tabby pictured below is Wynona, a four-year-old beauty, and she can currently be found in the Angels of the City section of the Best Friends LA website. She has no tail, as you can see in the picture on the left. Samantha reported that Wynona has come a long way during her time at Best Friends and is at about 80% with the litter box, but she still has the occasional accident. Look how adorable she is! Wynona meowed at us and asked for pets the whole time we were in her cat room. 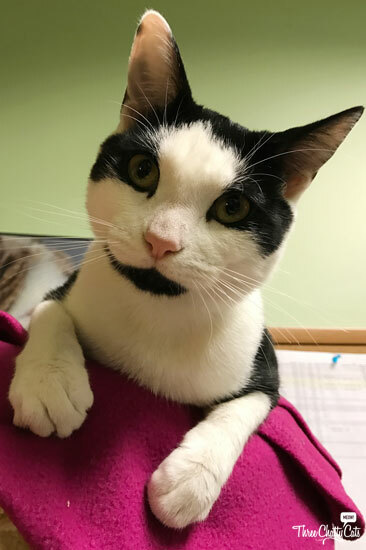 She is just waiting on a very special adopter who is willing to work with her – and I know the perfect adopter is out there. Wynona really is a sweetheart! Next up, this black and white little lady named Lydia rolled over and asked for loving when we visited her in the kitchen, where they have two walls of condos. The cats are allowed to roam if they want to. And this little one, who is full grown but quite small, was stuck to my husband like glue. This gentleman below is three-year-old Mocca, who also lives in the kitchen. He was just chilling in his condo watching everyone. As soon as I went up to him, he became very vocal and demanded head scritches (which of course I happily provided). And finally, here is Mr. Kitty. As you can see, Mr. Kitty is a large feline specimen, weighing in at 20lbs – all muscle, of course! 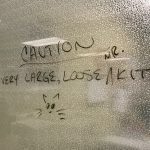 We only saw Mr. Kitty through his office window, as he was intent on escaping through the door at that moment. As we walked through the kitten nursery during our tour, we saw one nursing mom and her five kittens, who were only one day old (squee!). 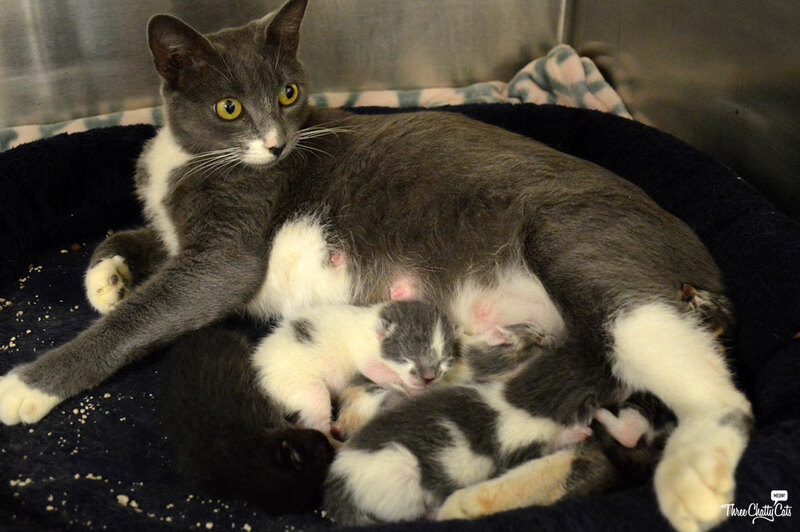 This is Kristen with her babies Kyle, Kent, Kora, Kyla and Kelly – born February 11, 2017. The family had the entire kitten nursey to themselves! Momma Kristen with her newborn kittens. 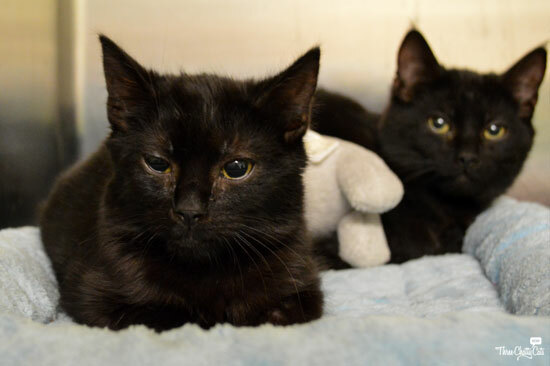 Typically, there are not many kittens in the nursery from December to March, as it is not peak kitten season, and the few kittens they have can go straight to foster homes. 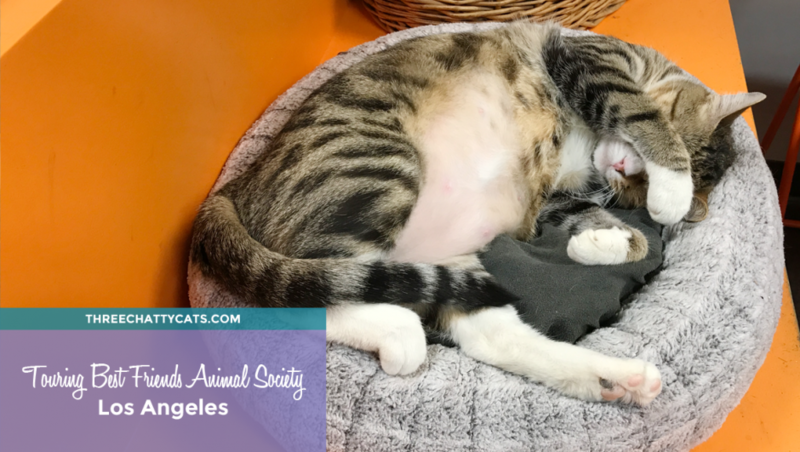 During this slower kitten period and since they have more space available, Best Friends can take in more ringworm cases from LA city shelters, where ringworm is a problem. During our tour over the weekend, there were about 50 cats with ringworm, who currently live in three ringworm-specific areas at the facility. Some ringworm kittens are with fosters as well. This room (which we didn’t enter) houses ringworm kitties. Another area that we toured at Best Friends in Los Angeles was their Working Cats section. Before visiting, I had no idea that this program existed. 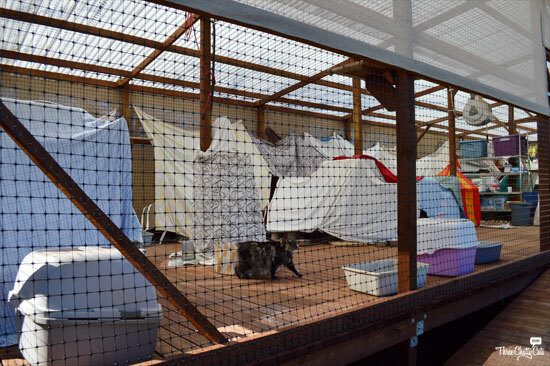 The working cats structure houses up to 40 cats (and they’re usually always at capacity) that have been deemed feral, or unbonded to humans, at LA city shelters. Best Friends steps in, pulls the feral cats, and houses them until they can be adopted out to enclosed spaces as working cats, which some people refer to as barn cats. The structure is like a giant catio. One of the friendly cats. She came over and meowed hello right away. 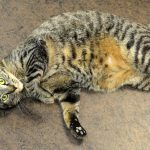 The working cats who are friendly – and aren’t actually feral – are brought inside to the adoption center as space allows and given time to be comfortable with people. Although they may remain a bit shy, ones who are obviously not feral can be adopted out through the normal adoption process. Another beautiful “working cat” at Best Friends in Los Angeles. 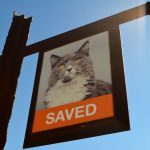 For the true working cats, Best Friends looks to place them with people who are looking for “natural rodent deterrents for enclosed properties such as barns, warehouses, churches, factories or other facilities.” There is no adoption fee for working cats, and Best Friends tries to place them in pairs. You can read more information on their Working Cats program at their website. Best Friends also recently published a story about working cats called Cats for Hire. 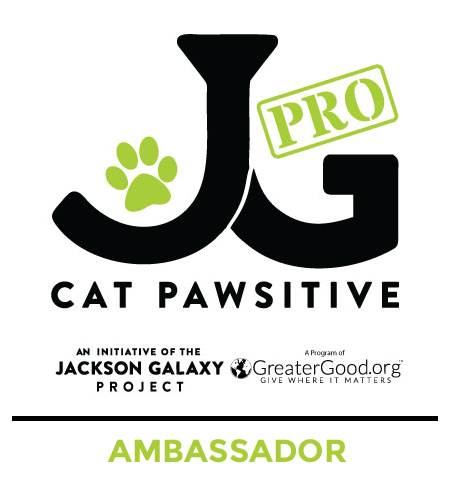 The more people who know about this program, the more working cats they will be able to adopt out! 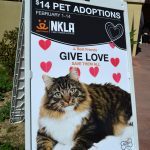 I wanted to quickly share with you about NKLA, an initiative that launched in 2012. In 2015, the NKLA Coalition helped 27,100 dogs and cats find homes. Also, over 14,000 spay/neuter surgeries were performed that year in Los Angeles with support from Best Friends. You can learn more at NKLA.org. 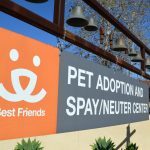 In addition to the Adoption Center and Spay/Neuter Clinic in Mission Hills (where I toured), there is also an NKLA Pet Adoption Center located in West Los Angeles, where there are over 100 kittens, puppies, cats and dogs ready to meet their adopters! After the tour, you know I had to browse the gift shop and snag some Best Friends items. I also purchased two items to give away to one lucky reader! I’m giving away a travel mug and a pair of socks. This is not a sponsored giveaway and Best Friends is not responsible for fulfilling the giveaway. The giveaway is open to U.S. residents, 18+ years of age, except where prohibited by law. If you live outside of the U.S. and would like to enter, and should you win, you can choose to send your item to a friend or rescue/shelter in the United States. One winner will be selected randomly by Rafflecopter and contacted via email. The winner will have 48 hours to claim their prize. Failure to do so will result in forfeiture of the prize, and a new winner will be randomly selected by Rafflecopter. The giveaway closes on Monday, February 20, 2017 at noon Pacific. 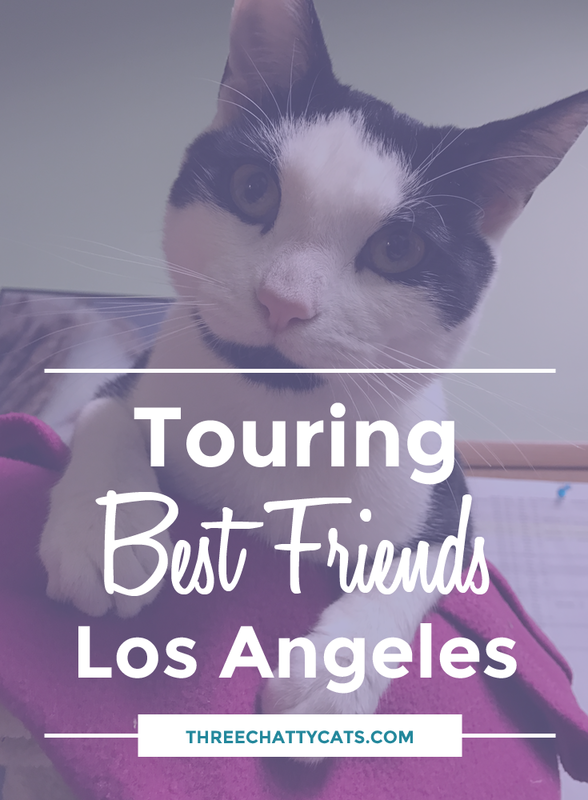 Be sure to check back later this month, as I’ll be sharing with you more about Samantha, our gracious “tour guide” and the Cat Behavior & Enrichment Lead for Best Friends Animal Society in Los Angeles. Wow!!! Those are some impressive numbers. And what a beautiful facility. Amazing. I have been a big supporter of Best Friends for a long time. Visiting their Utah facility is on my bucket list. They have done a lot to promote no kill shelters. I think the LA one is their biggest one offsite. 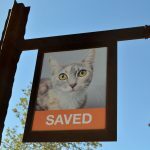 I love their humane approach to cat (and other animals) rescue. Great story (and lucky you to be able to visit it). Just a question…ringworm is treatable isn’t it? Yes, definitely treatable…just very easy to spread in close quarters like a shelter. Some day I want to tour BEST FRIENDS, it’s on my to-do list. What a great recap, and love the pictures! OH! You are so lucky! Best Friends does SO MUCH great work, and to get a personal tour of the LA facility must have been a dream. Yay! Great post. What an amazing place Best Friends is! As much as I would love to visit Best Friends I would want to take all the kitties home with me! I am astonished with their numbers. Staying overnight and volunteering at Best Friends is on my bucket list! Hope to get to do it in the next 5 years! Dat’s so pawsum. Fanks fur sharin’. We so luvved every kitty. We’re purrayin’ they all find da bestest luvvin’ furever homes ever. And mommy luvs those socks. MOL Big hugs to all. I’m very familiar with Best Friends but had no idea they had a shelter in LA. The place sounds amazing and certainly somewhere I would love to volunteer if I lived there. So many homeless animals is sad indeed, but for those who have to be in a shelter until their forever home is found, they are lucky to have ended up there. Wow! What a great experience. That’s definitely on my bucket list. These rescue groups are so amazing. I’m glad you had the opportunity to visit. Oh yaay I can win for a USA buddy. WooHooo I will share the post and stuff then. I think you could do a WHOLE POST on working cats I would LOVE to know more and see them in action. 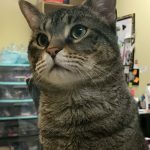 We are also the kind of people here who would take the sick cat we could help it most. 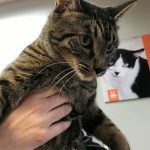 There is a post on Love Meow (I think) about a cat who was covered on mange, he looked so desperate, and when I lady picked him up (which takes courage it’s not a nice disease) the little guy meowed. They saved him – that is the kind of rescue work that matters to us. Thsnk you for a wonderful nd exciting post. We passed through LA and KNOW we need to visit and see so many things there!! I would definitely like to post more about their Working Cats. I’m hoping to be able to follow a pair from BF to their adoption! What I find so amazing is that Best Friend’s has all these satellite campuses –the campus is LA looks amazing. So the kittens! That Kitten Nursery looks outstanding – WOW. 3,000 in 2017. Let’s do this! I just shared and will share again! Thanks for showing us the tour you had – super cool. TW said she’d want them all. How did she find the only “unique” kitty who doesn’t cuddle? I think I’ve been insulted. What a great facility and goal. What a great place! 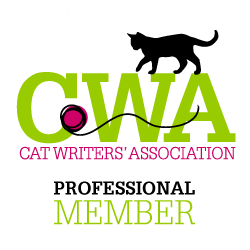 We love all the good Best Friends is doing, especially the Working Cat program. Thanks for the tour! What an absolutely fabulous rescue!!! Thank you SO MUCH for the tour! It made me so very very excited and happy!!! What an amazing place!!! You were so lucky to get a purr-sonalized tour. I don’t think I’d ever want to leave!!! WOW … impressive!! so glad that places like this are out there. That nursing mom … aw…..
Gorgeous, gorgeous babies! So many special kitties needing a home. Thank for sharing about your visit … I had no idea Best Friends had a site outside of their main location! They’re in New York and Atlanta, too! I’m not sure if they’re anywhere else yet. So many beautiful sweeties and such great things they are doing. Thanks for taking us along for the tour! Such a wonderful place for kitties to wait for their forever homes. Best Friends has been on my bucket list ever since I heard of them. You’ve made me even more anxious to go there. They obviously know what they’re doing and have made such a difference in the places they’ve targeted. I’ve also more anxious for them to expand. We need them all across the United States! I visited Best Friends in Utah last spring and it was one of the highlights of my life. 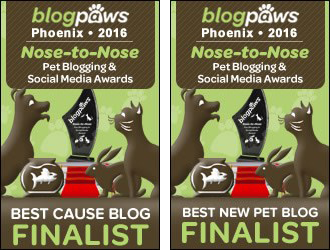 It is such an amazing organization that is making a big impact for animals all over the United States. I’m glad you were able to visit the Los Angeles facility. Those socks are so cute! I visited the Utah sanctuary a little over a year ago and can’t wait to go back! I thought it was funny that LA is so close but I made it to Utah first. I have always wondered what Best Friends LA was like. I love Winona’s adorable belly. Hope she finds a patient adopter. I love the working cats program. 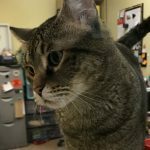 There’s a brewery here in Chicago who has several former ferals as working cats to keep the place mouse free. Yes! They actually link to the Chicago brewery on their Working Cats page. Love this idea and hope it continues to spread. 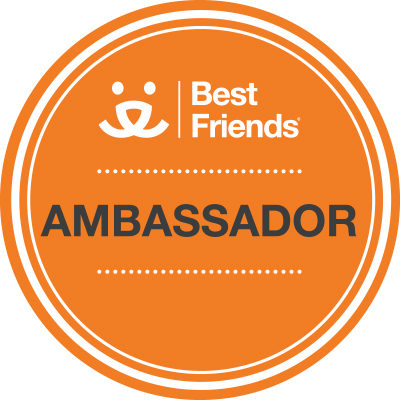 Best Friends seems like an incredible organization and that space seems wonderful. Hard to resist the kittens and so many have been through. I hate to be a geek, but this is fate. I don’t have much time to read blogs, so I’m so glad I read this! I’m currently a legal intern for BFAS, and LA city is one of the 10 cities I’m researching. I’m researching laws and shelter stats, so it’s great to actually see pictures of the shelter and the great work. Thank you so much! Best Friends does such great work – the pictures are so meaningful in helping readers understand the very important work and needs of the LA area shelters. Bless you all for your work! How wonderful you were able visit this place. Best Friends does some amazing work. 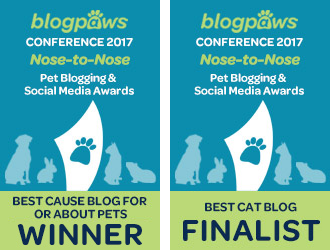 A cat blogging friend made a donation in my previous cat’s name when she died from cancer. That is a beautiful facility. It might be the nicest place for cats I’ve ever seen! Very interesting and informative. Never heard of working cats before. Our house cat spends most of his time sleeping on our double bed… The yard cats sometimes bring a mouse to our front door. They are best described as semi feral cats, to varying degrees. Most of them were born to the same mother who brings them to our yard when they are several weeks old. They are usually cautious and keep their distance, but they do come to eat on a regular basis. From time to time, after months or even years we manage to ‘socialize’ them enough to come near us: some will rub against our legs; some will allow us to pet them and on occasion they even sit in our laps. The sassy ones will try to enter the house. However, they freak out after a minute and run around the house… they are not adoptable. A semi feral cat that was born in our yard (named Gibor), became quite friendly with us but was driven away by another cat. 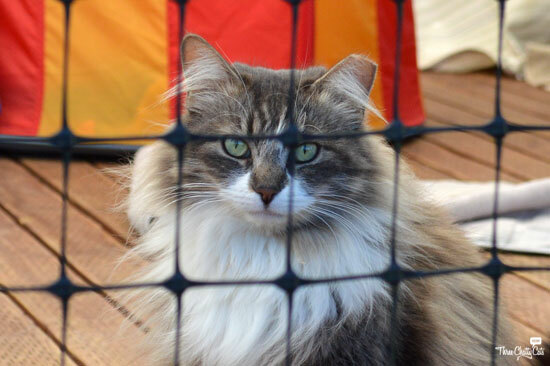 You can read about him and other cats on my blog (https://karmielkotekcats.wordpress.com/, https://karmielkotekcats.wordpress.com/relationships-between-yard-cats-7-autumn-2016-cats-relocation-and-territorial-habits/ ). Enjoy, everybody. Terrific post! Best Friends Sanctuary is such an amazing place, they help so many animals. 700 cats, wow! I love the Working Cats concept, what a great idea! Thanks for sharing. 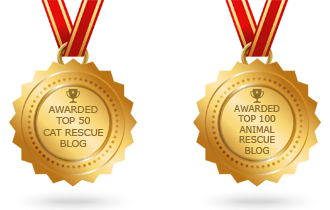 I love to learn about different rescue organizations. Best Friends Animal Sanctuary seems like a fantastic organization. So much thought and care has gone into this facility. The numbers are impressive! What a fascinating organization with off shoots around the States. Best Friends sounds so in tune with animals and their needs. A very uplifting post. Thanks my friend. Super post! It looks like a wonderful place – very inspiring! thanks for sharing. i do (or did, before layoff) an automatic monthly donation to Best Friends. 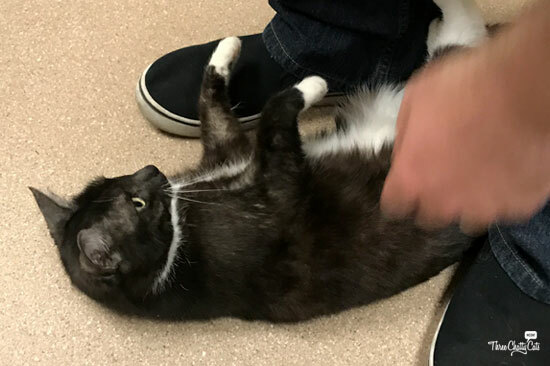 Would love to tour the shelter but (1) Mission Hills is too far [though i really want to visit their Utah facility] and (2) I’d try to bring home ALL the cats!!!!!!!!!!! We drove to the Utah sanctuary in 2015 and it was well worth the trip! I hope you can make it out there. But again, you’ll want to bring home all of the cats! I love this article, I wish there were more places for these animals in our area. What a wonderful article about this very pawsome cat place. The female human is always trying to get the male human to go to the Best Friends Sanctuary in Utah for a vacation. I especially love the working cats program. I’ve been featuring a number of working cats in my Walk Through the Web Wednesday postings and I think you humans are on to something there,. 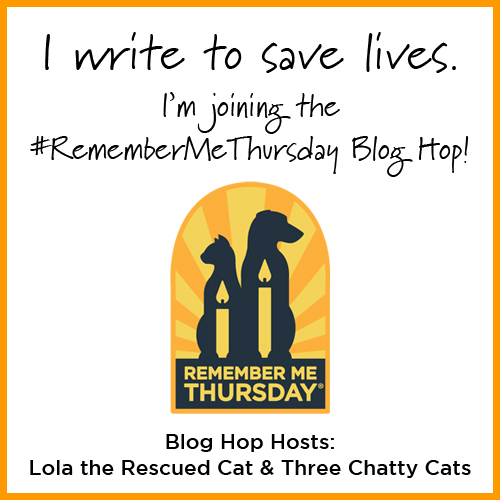 I’ve met brewery cats, SWAT police cats, hardware store cats and many more. Thanks for writing about all the good folks who are helping kitties. Oh darn! We missed the giveaway! Mommy read this on her phone but didn’t get around to commenting until now. This was a great post and Best Friends is a great place. This is terrific. 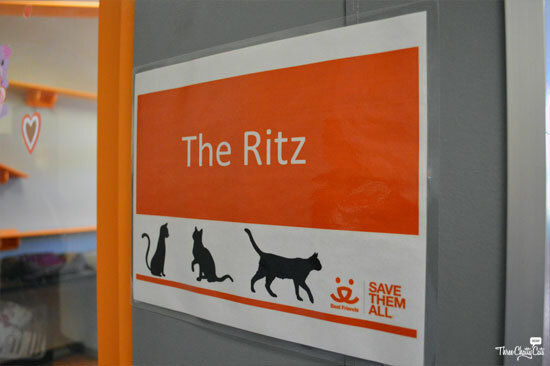 What a great place to foster that many cats… 700, an impressive number! I wish there were more places like this in my neighborhood.